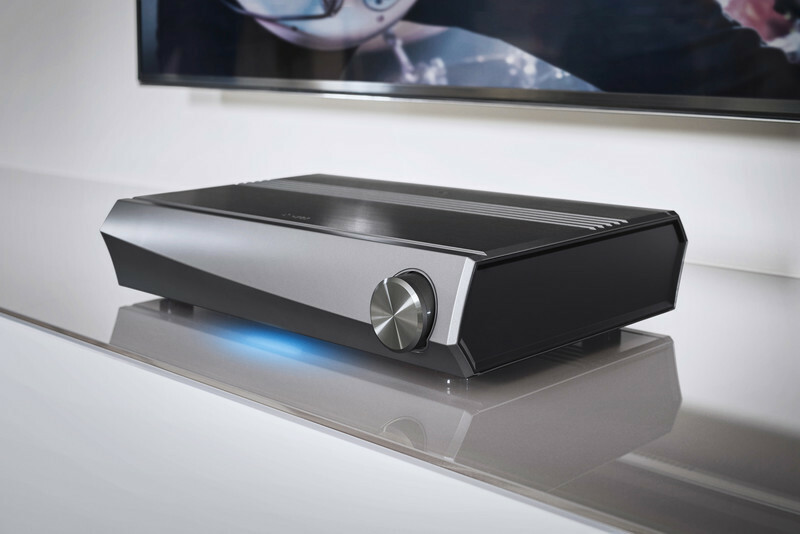 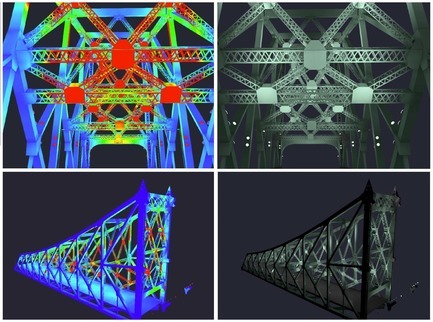 Consult the video about the innovative features of the bridge here. 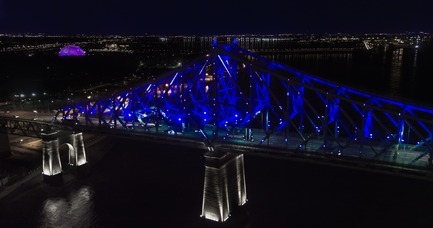 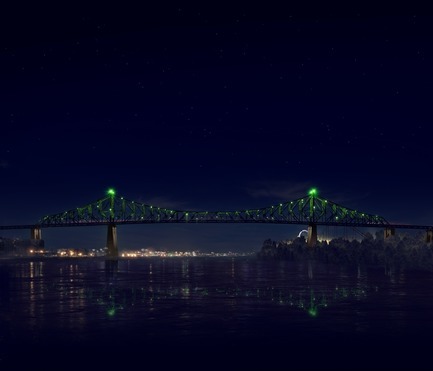 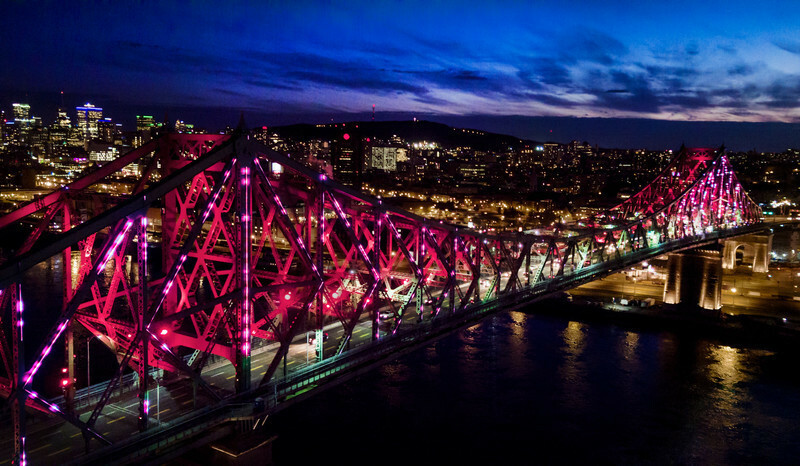 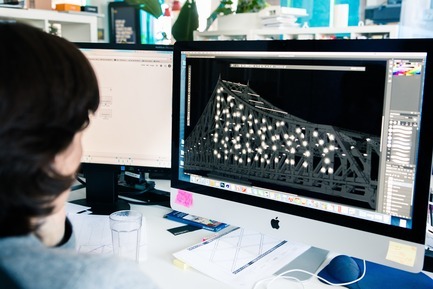 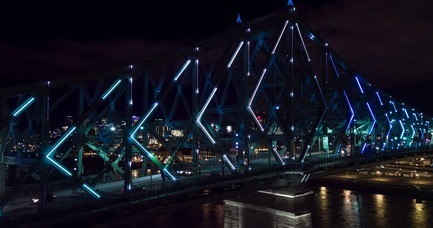 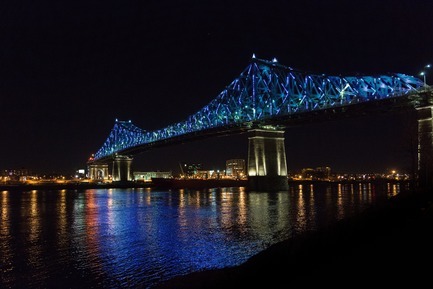 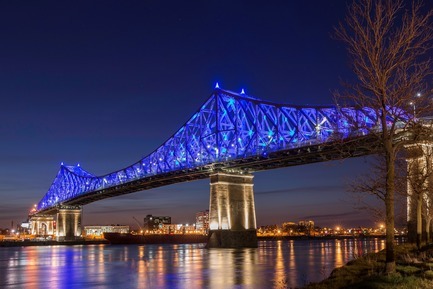 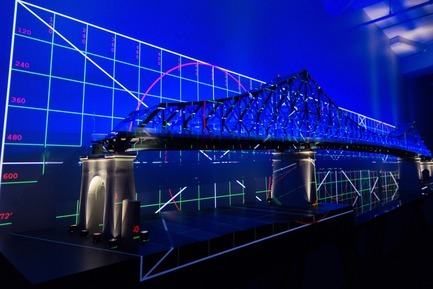 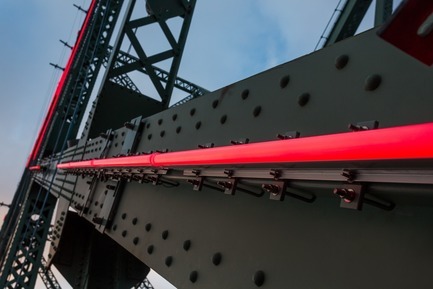 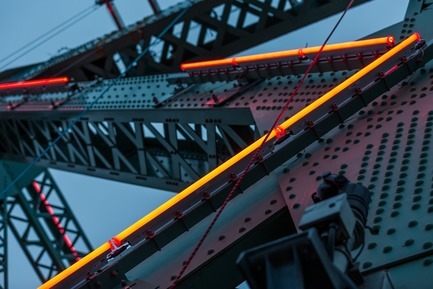 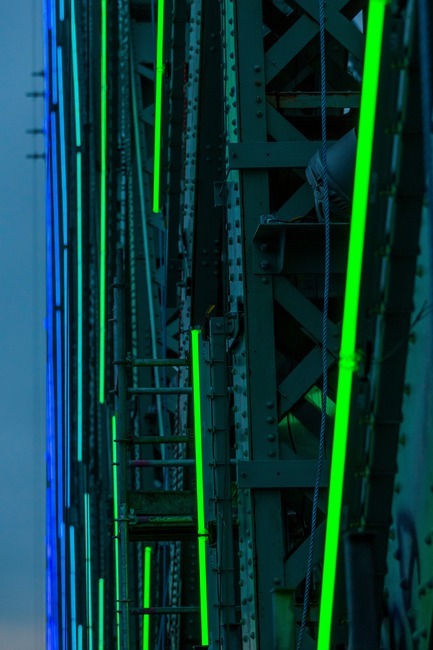 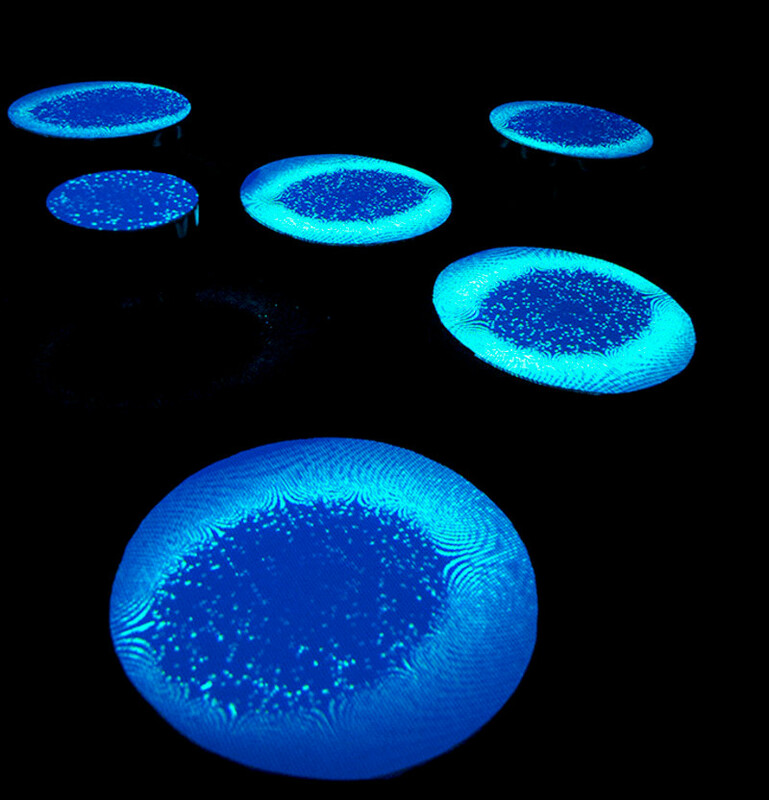 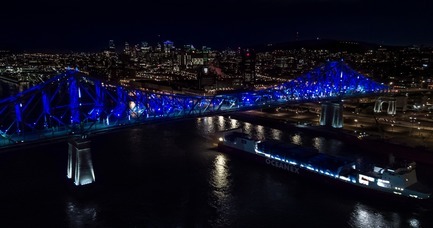 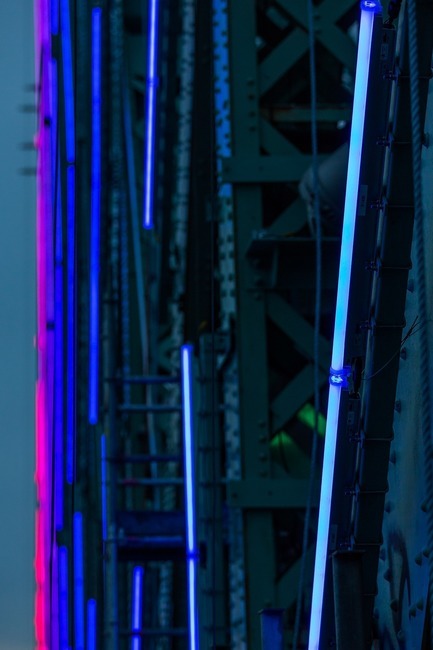 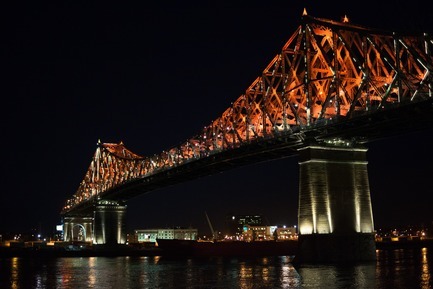 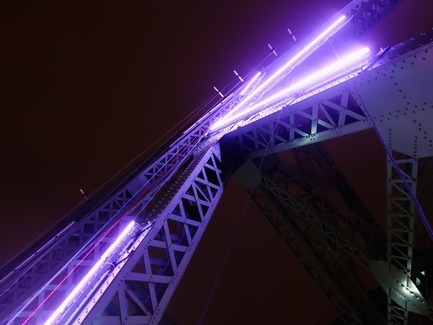 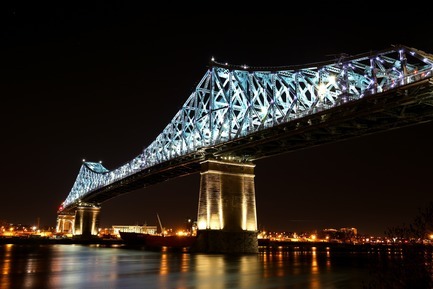 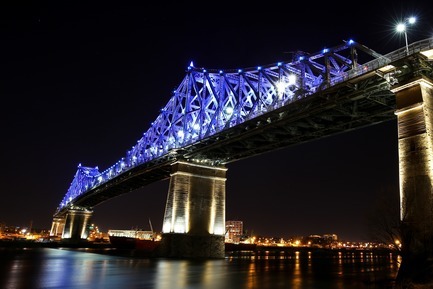 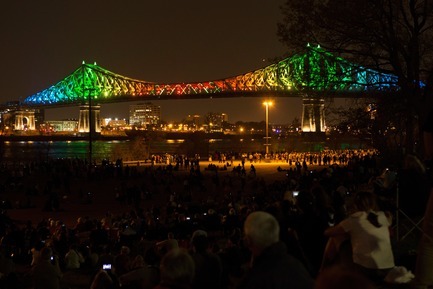 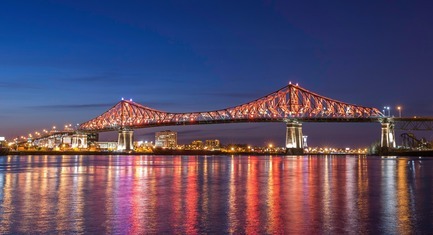 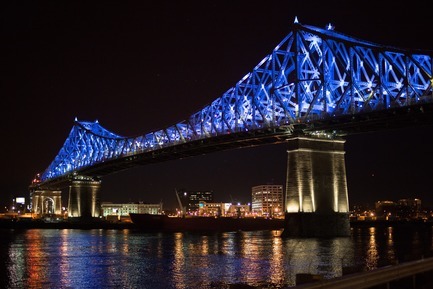 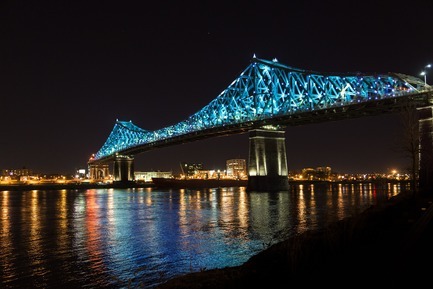 Jacques Cartier Bridge Interactive Illumination (Render)_The Bridge Awakes With Light. 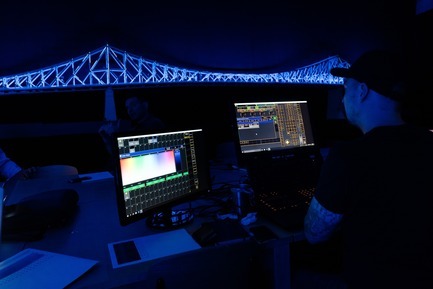 The bridge warms itself up in a slow dance of dots whose colour pull from the colour of the sky above. 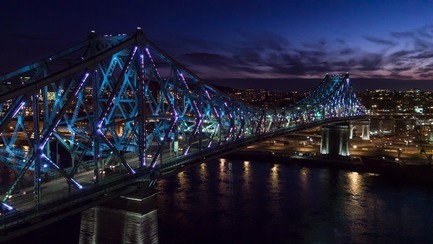 At dusk, when the sky is darken enough to display the full power of the lights, the bridge comes to life in a four minute dance of light, climaxing with a reveal of the new colour of the day. 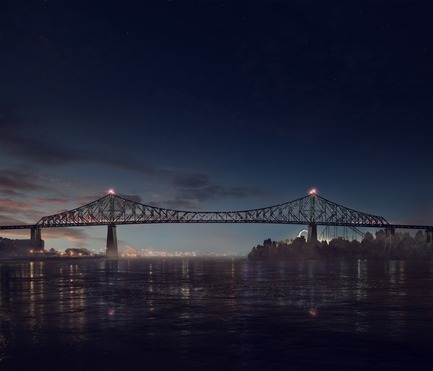 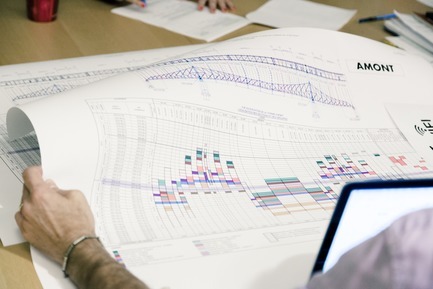 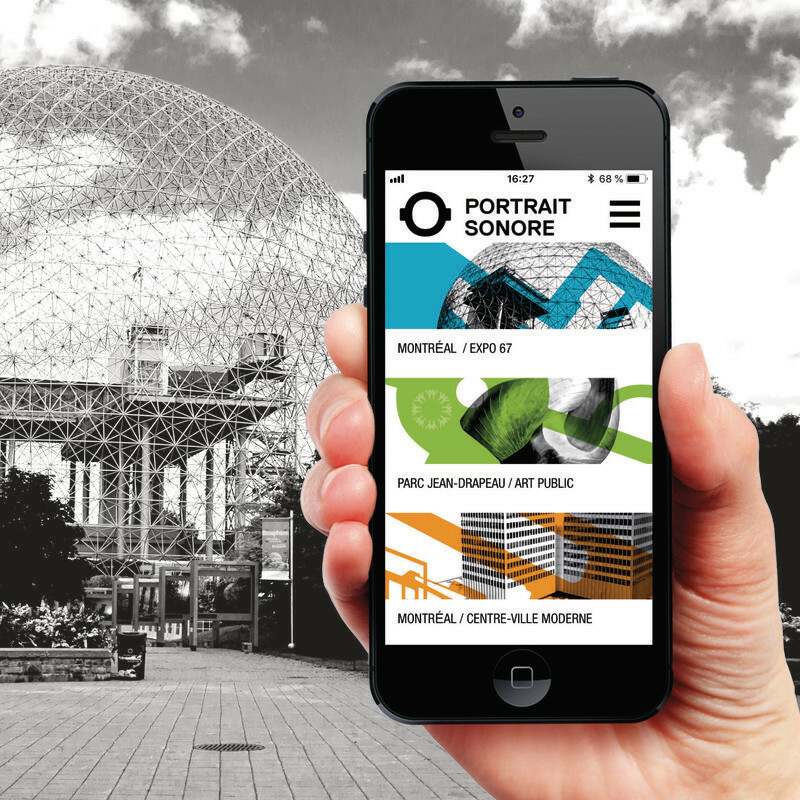 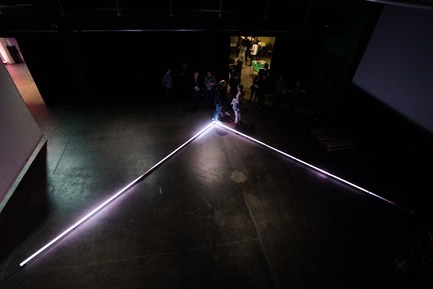 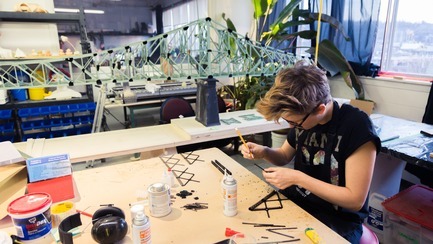 The bridge translates the Montreal data it has collected over the course of the day into a series of data visualisations. 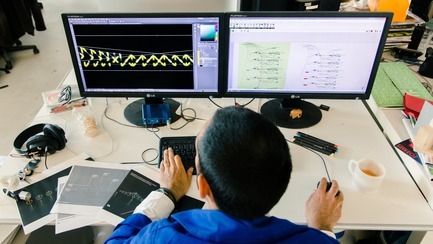 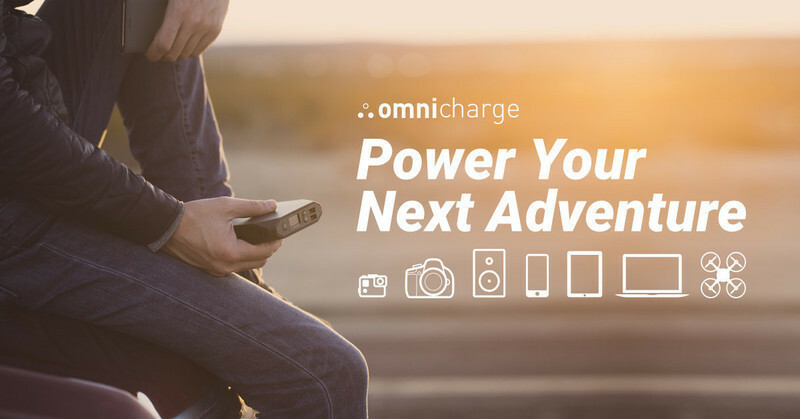 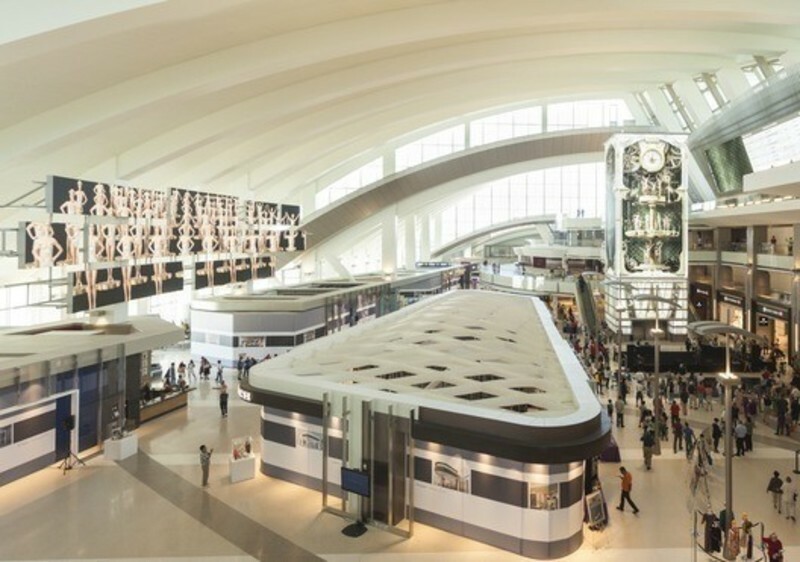 Pulling from a wide variety of data sources, including weather, traffic, news and social media, every show is updated in real-time and is totally unique. 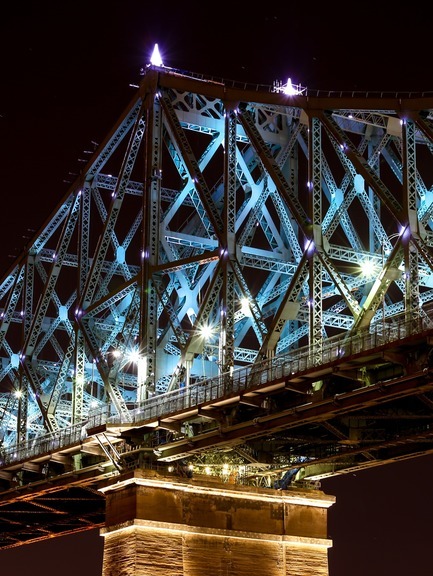 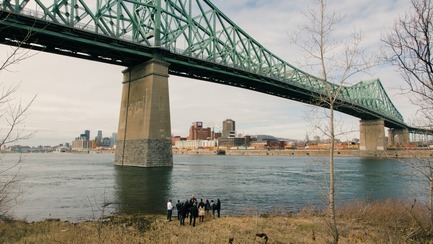 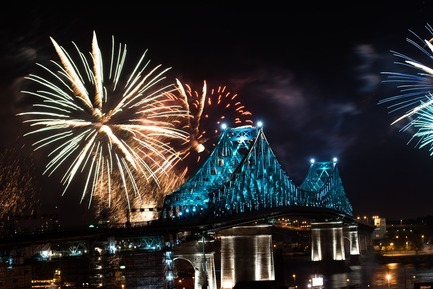 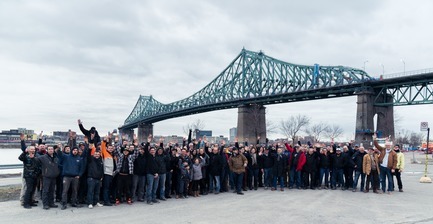 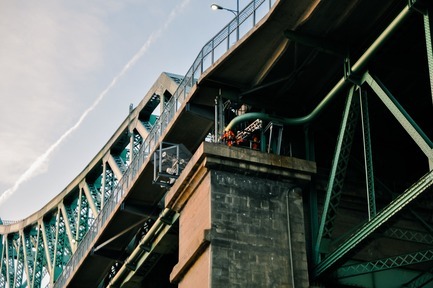 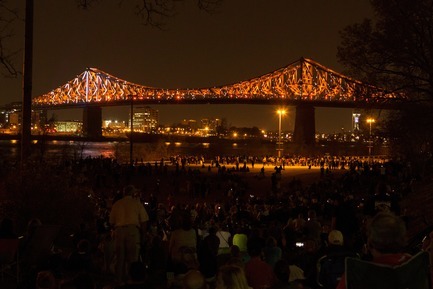 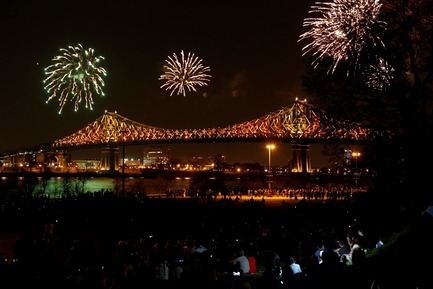 The ever-changing content makes the Jacques Cartier Bridge a barometer of Montreal life. 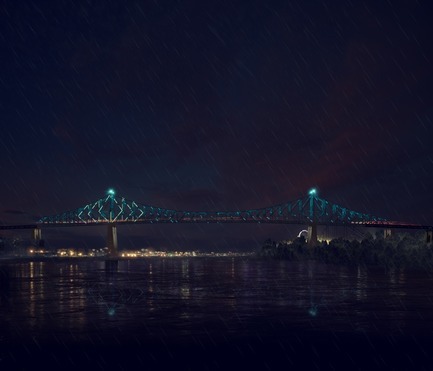 Influenced by meteorological aspects of the day, such as the temperature, wind and humidity, the bridge reflects the day’s weather. 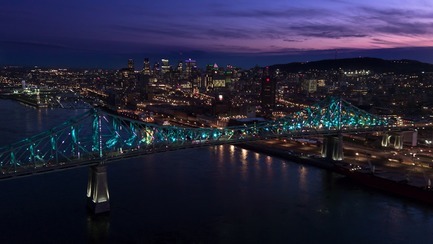 For the second part of the hourly show, the light illustrates the amount, density and movement of traffic going in and out of Montreal over the course of the day. 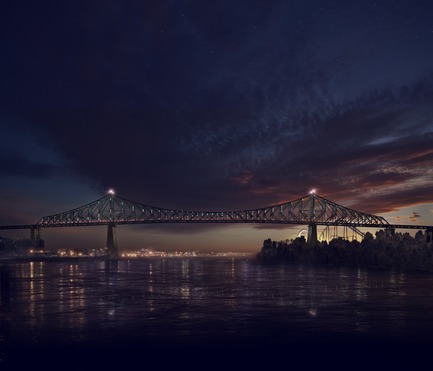 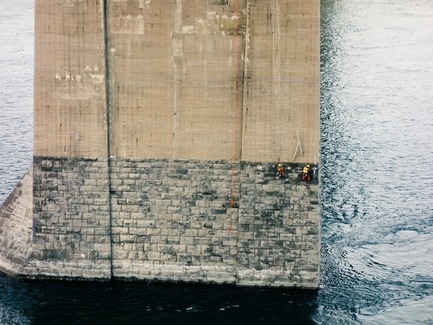 Next, the bridge is taken over by the topics discussed by the Montreal Media. As the visualisation reveals itself, we see the variety and intensity of the seven topics ofMontreal conversation; one colour for each topic. 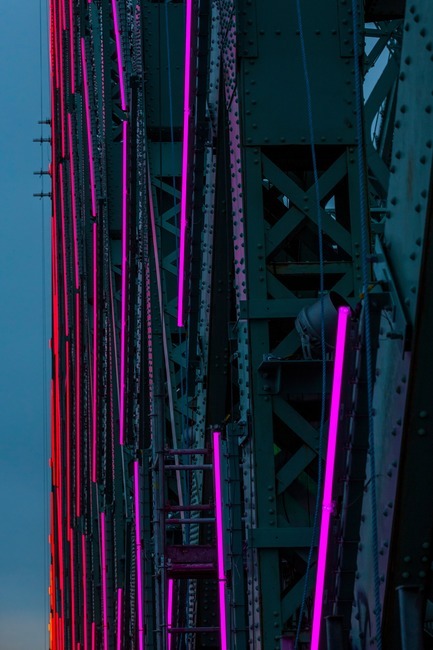 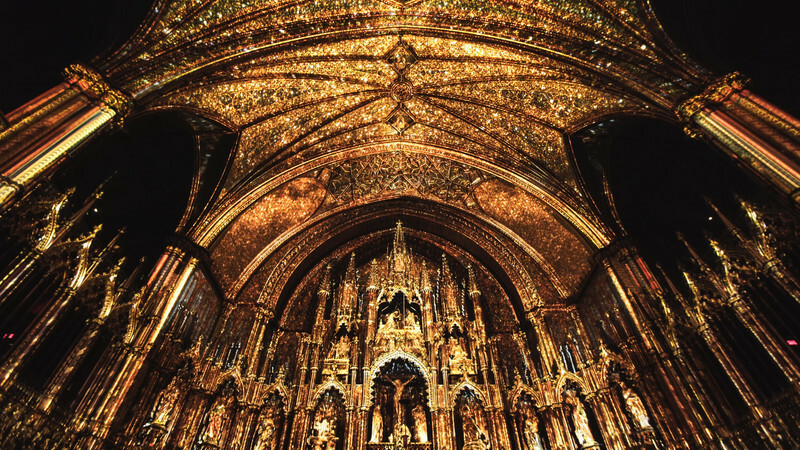 The more of a colour you see, the more it appeared in the media. 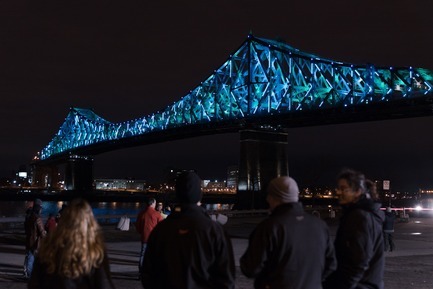 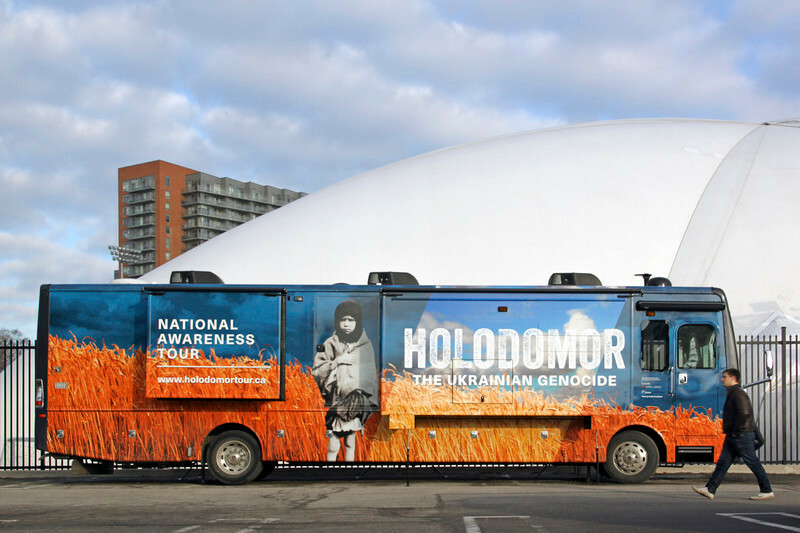 Slowly, the day’s most-discussed topic takes over the bridge, showcasing what was important to Montrealers that day. 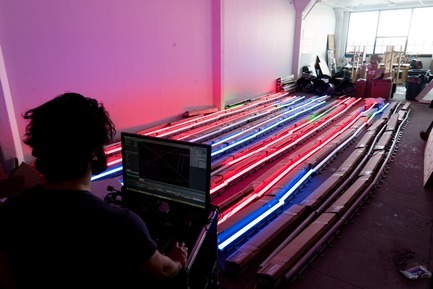 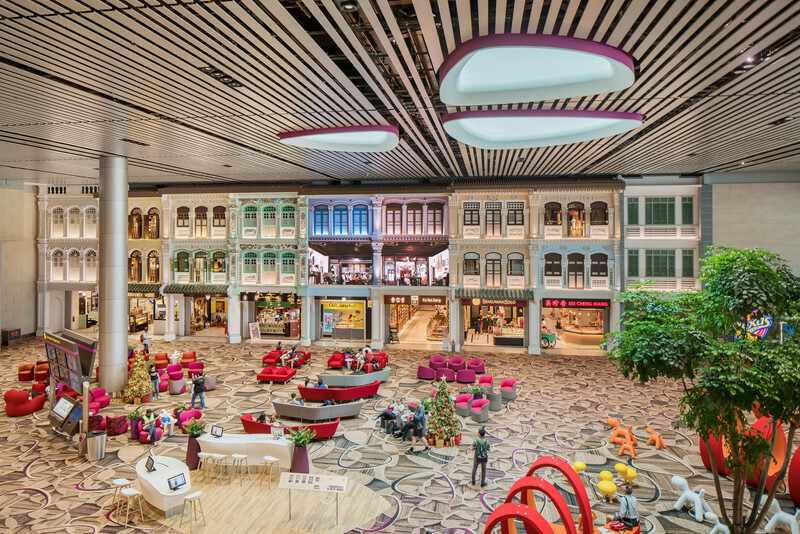 For the final visualisation, the mood of the city takes over the bridge. 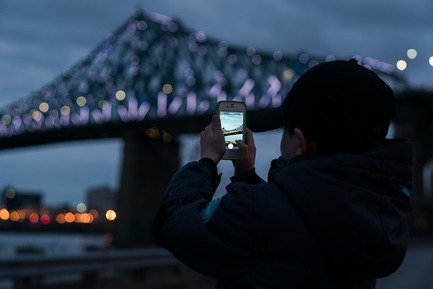 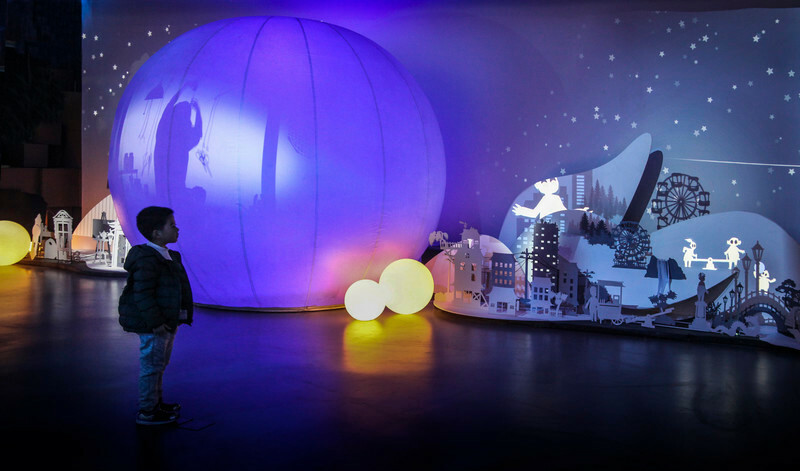 Happy and joyful or downbeat and gloomy, the bridge reflects, in real-time, how the city expresses itself online. 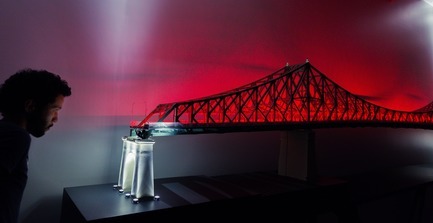 The bridge bursts into full life to signify the changing of the day. 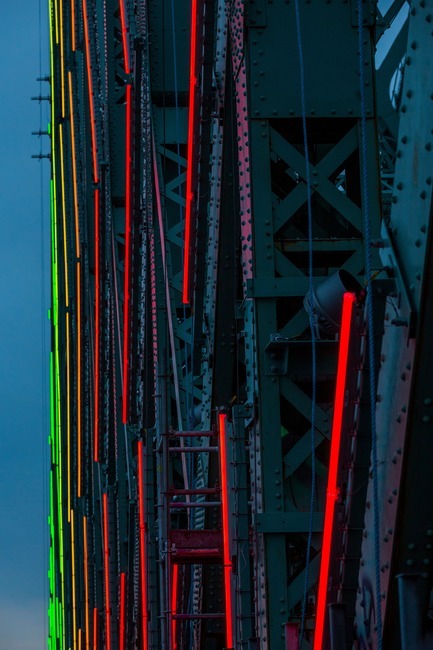 With a new day comes a new colour so the bridge cycles through all 365 colours of the chromatic calendar searching for its new identity. 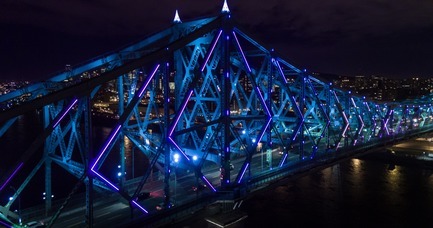 It explores wave after wave of colour until finally, the bridge has its new look for a new day. 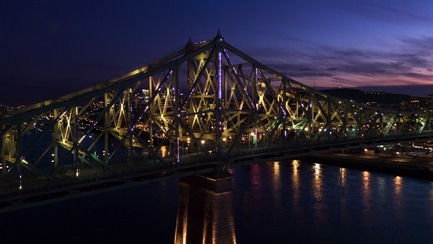 At dawn’s first light, the bridge’s exterior skin re-awakens to greet the sun. 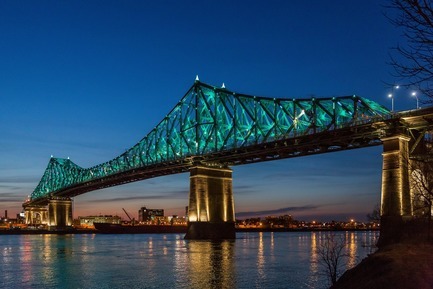 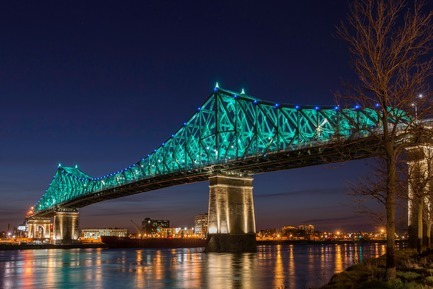 Taking its colour directly from the sky overhead, the bridge twinkles in the morning light, waving a subtle ‘good morning’ to Montreal’s early risers.